"To aid in accurately assessing seismic hazard and reducing risk in a tectonically active region, it is crucial to correctly identify and locate faults before earthquakes happen," said Valerie Sahakian, a Scripps alumna, and lead author of the study. The research team used a suite of instruments, including multi-channel seismic data, ocean-bottom seismometers, and light detection and ranging, or lidar, to precisely map the deformation within the various sediment layers in and around the sea's bottom. They imaged the newly identified strike-slip fault within the Salton Sea, just west of the San Andreas Fault. 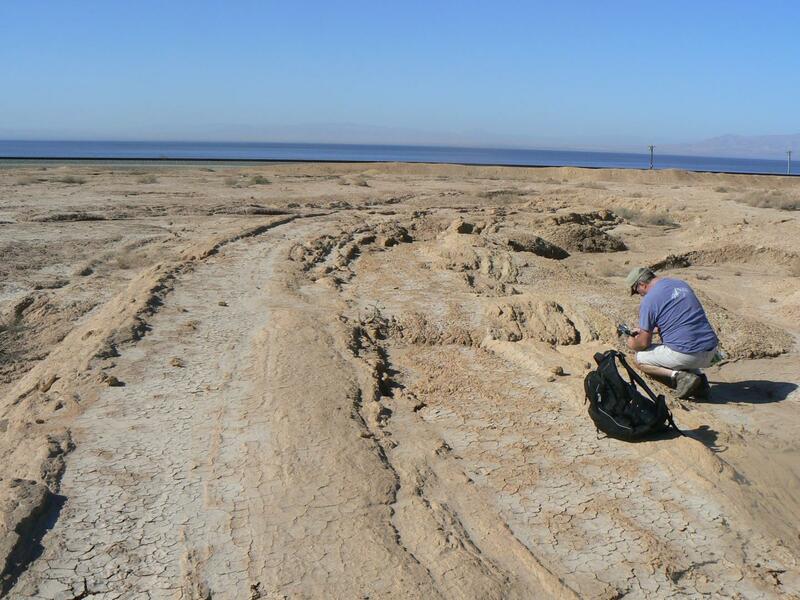 "The location of the fault in the eastern Salton Sea has made imaging it difficult and there is no associated small seismic events, which is why the fault was not detected earlier," said Scripps geologist Neal Driscoll, the lead principal investigator of the NSF-funded project, and coauthor of the study. "We employed the marine seismic equipment to define the deformation patterns beneath the sea that constrained the location of the fault." "We need further studies to better determine the location and character of this fault, as well as the hazard posed by this structure," said Sahakian, currently a postdoctoral fellow at the U.S. Geological Survey's Earthquake Science Center. "The patterns of deformation beneath the sea suggest that the newly identified fault has been long-lived and it is important to understand its relationship to the other fault systems in this geologically complicated region."